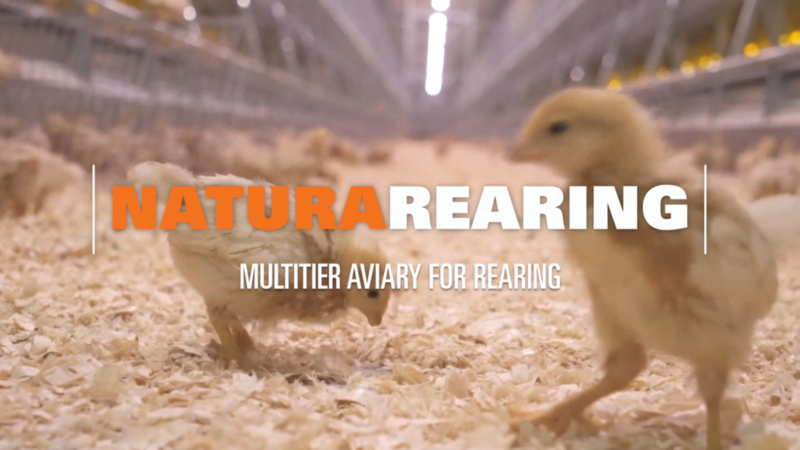 For rearing of pullets, Big Dutchman offers you the three tier NATURA Primus aviary system. This system offers you the best possible pre-requisites for a smooth transition of the pullets from the rearing to the laying aviary. 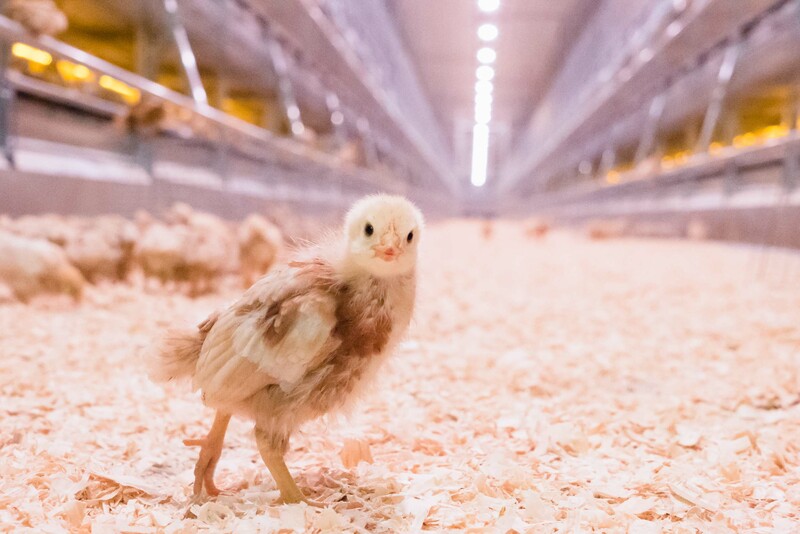 Uniform and healthy pullets and a good start into the laying phase are the main goal that we want to help you achieve. When you first place your flock into the system, they are placed in the middle tier. This allows the farm manager to manage and inspect the flock easily. The lighting and placement of lighting is crucial for your flock to have a great start. Our lighting placement allows your flock to easily find fresh feed and water. Additionally, strategic lighting placement encourages flock movement throughout the system and house. Fresh water is easily available to the flock, and as the flock grows, the adjustable watering line is raised. 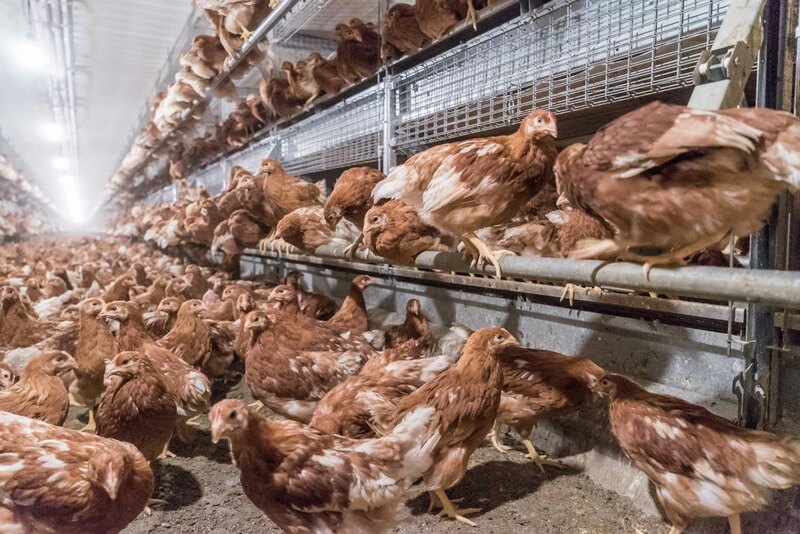 An even distribution of feed fulfills your flock’s need for feed, and there is ample space for your flock to feed and drink to promote a uniform flock. Maximum laying performance begins in the rearing phase. 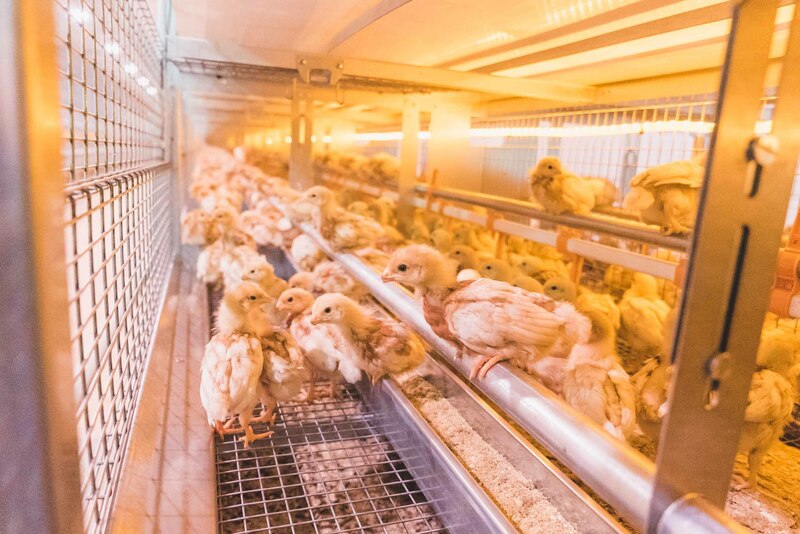 The NATURA system provides the ideal environment for a calm and healthy flock which will be ready for the layer house. Adjustable perches allow your flock to perch, which has proven to reduce bird stress, resulting in a calm flock. 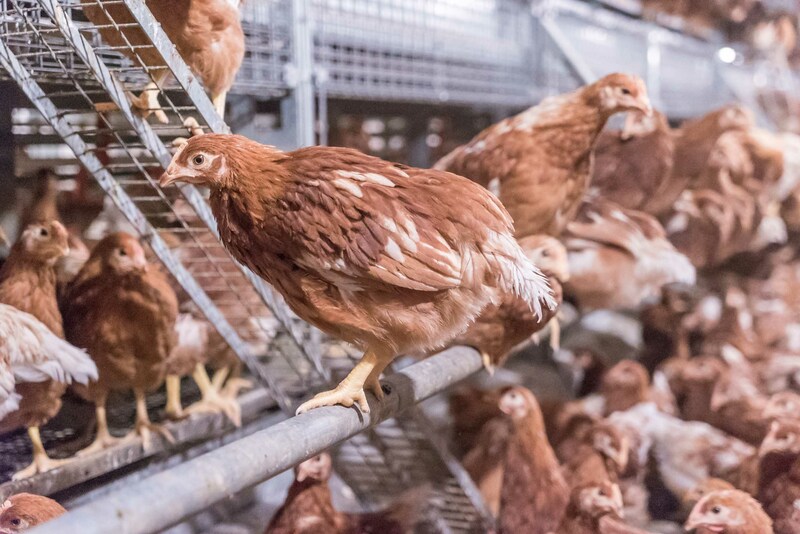 Bridges and ramps help your hens to gain easy access to the different tiers of the system, and build muscle strength and good bone density in your birds, which is crucial for birds before they are moved into the layer house. The entire flock re-enters the system at night without any human intervention, which makes for a flock that’s easy to manage. 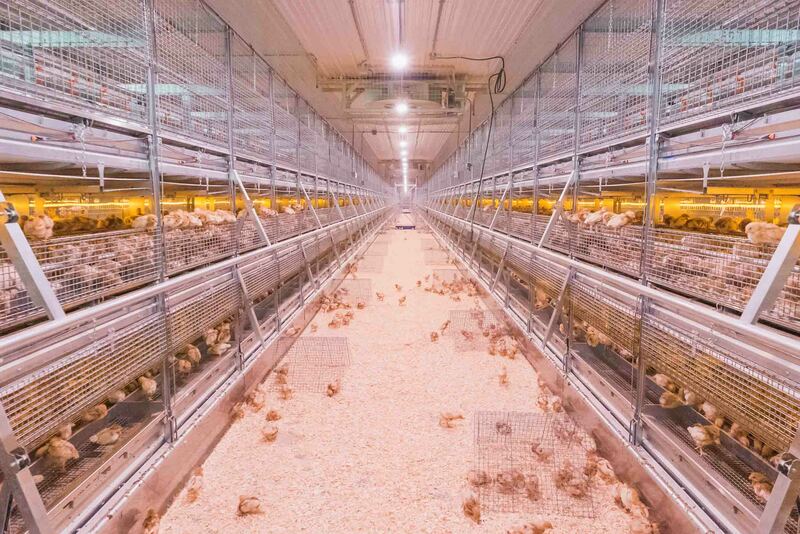 With the flock inside the system at night, proper air flow is achieved, resulting in properly dried litter in the aisles.